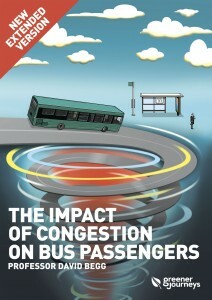 Greener Journeys, the campaign organisation pressing for more sustainable transport journeys, published research entitled ‘The Impact of Congestion on Bus Passengers’ in early June this year and has now produced an extended version with an enhanced annex now incorporating case studies from Gloucestershire, Dublin, Glasgow, Oxford and the West Midlands. 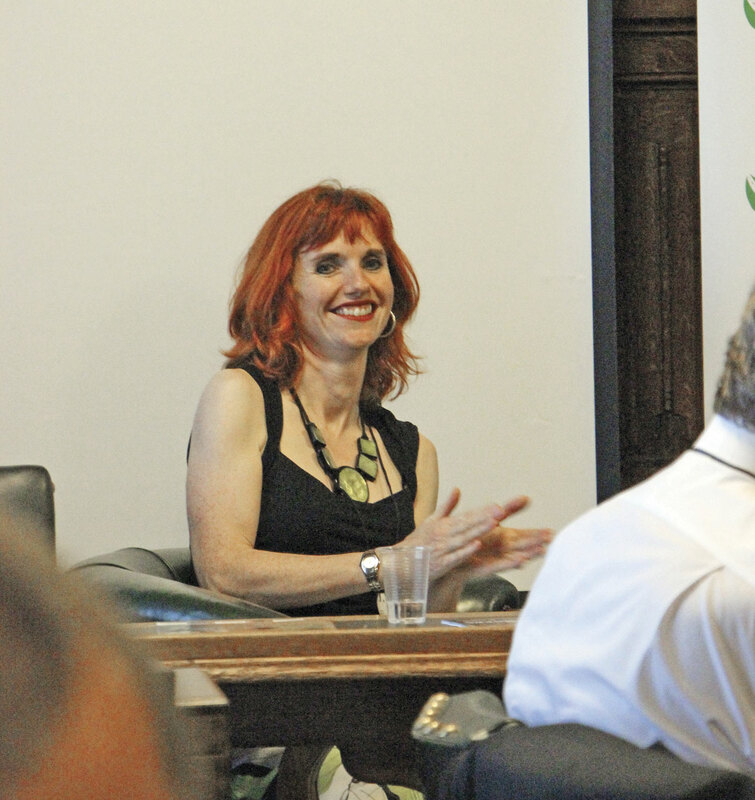 It was launched last Wednesday at a well attended seminar held in one of the Committee rooms of the House of Commons. 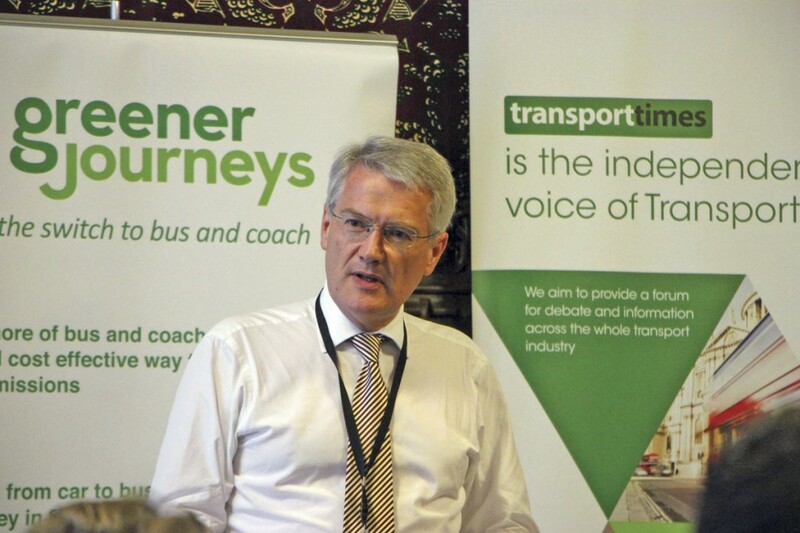 The event was hosted by the Chair of the Transport Select Committee, Louise Ellman, and Buses Minister, Andrew Jones, gave the keynote speech and took questions. Claire Haigh, CEO, Greener Journeys welcomed delegates and set the scene, saying that the report put the spotlight on one of the most serious challenges facing the bus sector. Buses played an important part in the UK economy, were used by more people than all other forms of public transport combined, were crucial for job seekers and those in training, and provided a lifeline for the elderly, so congestion was not only putting bus services at risk, it was also having a very detrimental impact on bus passengers. ‘For every day that the current trend continues, we are losing 5,000 jobs a year, so it is essential that we do what we can to reduce congestion and to mitigate its impact on bus passengers,’ she said. Claire then introduced the report’s author, Professor David Begg, who chaired the meeting and outlined some of the things he felt needed doing, as well as inviting comments from those present, among them senior figures from the bus companies, CPT, the local authorities and various lobby groups, stakeholders and passenger organisations. He had been surprised how consistent the trend was such that every decade bus speeds had declined by 10%. The worst example of decline he had seen was that between Cheltenham and Gloucester where journey times had doubled from 30 minutes to 60 in 25 years. Second on the list was Brighton, and Glasgow was also high up the list with bus speed declines of 1.2%-1.3% annually. The best performers had been Oxford, Edinburgh and Dublin, Dublin limiting decline to only 4% per decade. There were different elasticities in operation. 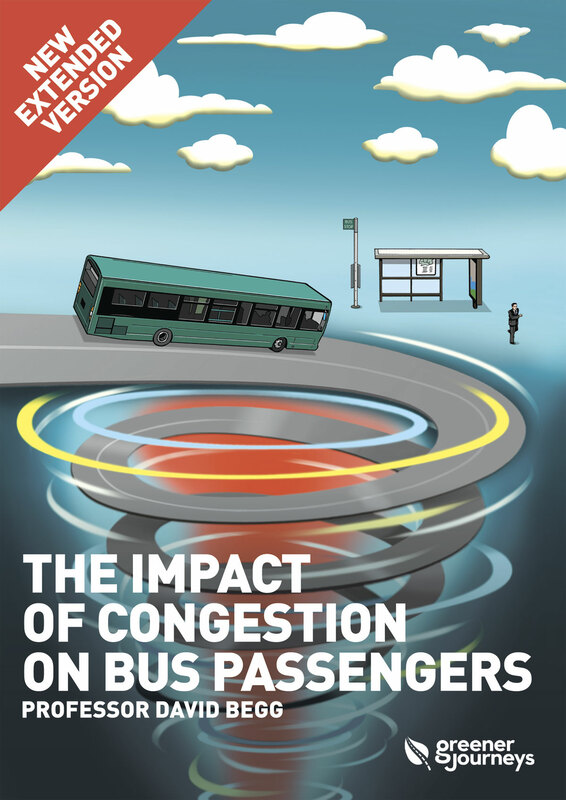 Congestion drove up costs with every 10% slower traffic became resulting in an 8% increase in operating costs. To address this, you could either put more resources in, which incurred costs and increased fares, or cut frequencies which lost patronage. Congestion also knocked reliability and punctuality, a trend that went back to the 1960s. Every decade between 10-14% of passengers were lost. In the last five years there had been an incredible acceleration in the downturn in bus speeds, one of the reasons for which was delivery vehicles and private hire vehicles. What he termed ‘the Uber effect’ was resulting from increased on-line shopping, a double-whammy that meant less passengers for buses and more white vans on the road whose drivers would stop anywhere to deliver and were disproportionately important because of this. A concern was London. He couldn’t name anywhere else in the world that had doubled bus patronage between 2000 and 2014 but it was now facing passenger decline at a rate faster than the UK average and the main reason for this was road network congestion. He claimed Mayor Kahn had a problem because he was set to lose the subsidy for TfL by 2019 and it would be a difficult challenge to maintain the network. Tendering the bus network currently cost £439m a year, and with the reducing speeds he doubted that it could be obtained for that price today. However there was a solution, if bus speeds could be improved by 24% (back to 2003 levels), the subsidy could be wiped out. Buses Minister, Andrew Jones, arrived for his 15 minute slot some way into the proceedings. He said that buses carried three times as many people as trains and were, ‘more relevant today than they have ever been,’ adding that the Greener Journeys report, ‘raised some pretty bleak questions if we failed to address rising traffic,’ and ‘clearly labelled congestion as a modern crisis.’ We were not alone because the UK was the sixth most congested country in Europe in 2015. Not only was the population growing, people of his generation were travelling twice as much as their parents had, we were commuting further to work, and we were making more shorter trips. The result was congestion. In the question and answer session that followed, Thurrock Councillor, Brian Little wanted the Minister’s help in getting closer working with Highways England to tackle traffic issues in the area of the Dartford Crossing. The Minister was happy to help, though he thought, ‘the principle of collaboration should be a given’. Lianna from the Campaign for Better Transport wanted to know why, when there were investment strategies for rail, cycling and other transport modes, there wasn’t one for buses. The Minister told her, we do have one (a strategy) really and that funding was no less fragmented in other sectors. He wasn’t sure it called for an overarching solution suggesting it was something to be dealt with locally. The Bus Champion for the Royal Borough of Windsor asked whether the Minister would consider giving London’s red route powers to places outside London. Andrew Jones was ‘hesitant about more powers’ but would, ‘have a look’. Resuming his presentation after Andrew Jones’ departure, David Begg asked what we could do about congestion, coming up with a number of suggestions. The first of these was that targets should be set for bus speeds, with the minimum being maintaining the level they are at now. The second suggestion was demand management, which he knew would not be popular with motorists but countered, ‘complete freedom of choice in city centres means gridlock. Saying that the 1998 White Paper was still his Bible, with its carrot and stick approach, he argued that demand management was needed because even if you have the best buses invented, people will still use a car if they can. Cambridge was likely to allow buses and emergency vehicles only at peaks and Nottingham’s brave decision to introduce a workplace parking levy appeared to be making a difference. His next point was the need for bus priority measures, the benefits of which operators had to be better at selling. Also important was reducing dwell time at bus stops, he said, adding, ‘what a fantastic success cash free is in London.’ The quicker the industry moved to smartcards, the better. His final point was that the industry needed to do much more about mobilising bus passengers. The rail, car and cycle lobbies were all more powerful lobbies. He believed the reason bus passengers were less vocal was that, by and large, they came from lower income groups. Louise Ellman, who was present throughout, began by saying it made a change to come into a room full of people who actually wanted more buses and were prepared to do something to promote buses. It was a frustration to her that although more people used buses than other public transport forms it had been virtually impossible to get any sort of national discussion about buses. 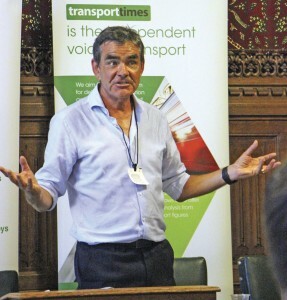 The Transport Select Committee had debated them a number of times because it was aware there were problems around areas where there were no buses, where buses had been withdrawn, and much of that debate was about deregulation, London style franchising and ever increasing traffic congestion. There was a bigger and bigger problem outside London of necessary services being chopped because of funding pressures on the councils that supported them and people being left isolated as a result. She asked why buses didn’t get the attention they deserved and said it was because, outside London, most of the people using buses were from low income groups. She had found it very difficult to get attention from national journalists, though local papers, where they existed, were very interested. There was now a Buses Bill going through parliament and this had created debate. 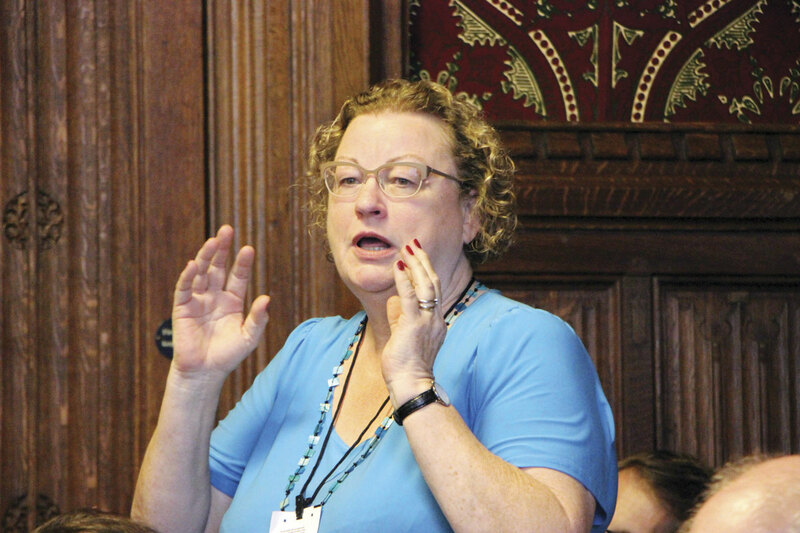 Referring to the Transport Select Committee sessions earlier in the week, Louise said that much of the debate had been about regulatory systems. 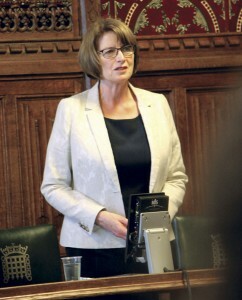 She also referred to discussions on franchising, smart ticketing, and easier access for people with disabilities. Comments afterwards came from Salford Councillor, Roger Jones, who wondered whether a national Congestion Commission could not be set up? He also pointed to the success of the Vantage scheme in Manchester, for which five additional buses were now being ordered. A variety of other points were made towards the end of the event. 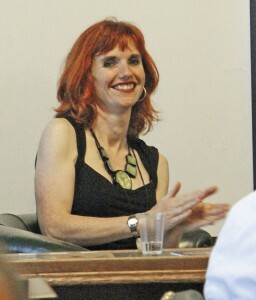 Claire Walters, Chief Executive of Bus Users UK, was less enthusiastic about cash free buses outside London, saying that removing a cash option was not good for people on low incomes; in London it had been a catastrophe for poorer passengers. She always wanted to see much better protection of bus lanes. Another speaker claimed that employers were being missed out, asking how businesses could get involved in partnerships? The answer came back swiftly, ‘LEPs’ (Local Enterprise Partnerships). Roger French suggested that a realistic parking policy was easier to achieve than permission for Red Routes and if you got it right it was a congestion game changer. He felt that without sensible parking controls it was difficult to take anything forward. By coincidence, pretty much the last word went to Andrew Jones, not the minister but another one with the LGA (Local Government Association). After several speakers bemoaned not having the powers to enforce yellow box junctions, he said that TMA6, which gave permission for this, had been on the statute books since 2004, but had never been enacted outside London. He said the LGA would be conducting research on solutions to congestion, hopefully during the autumn/winter of this year, and he welcomed input. The extended report has attracted widespread press coverage, particularly in the West Midlands where it was the lead story on local radio stations. 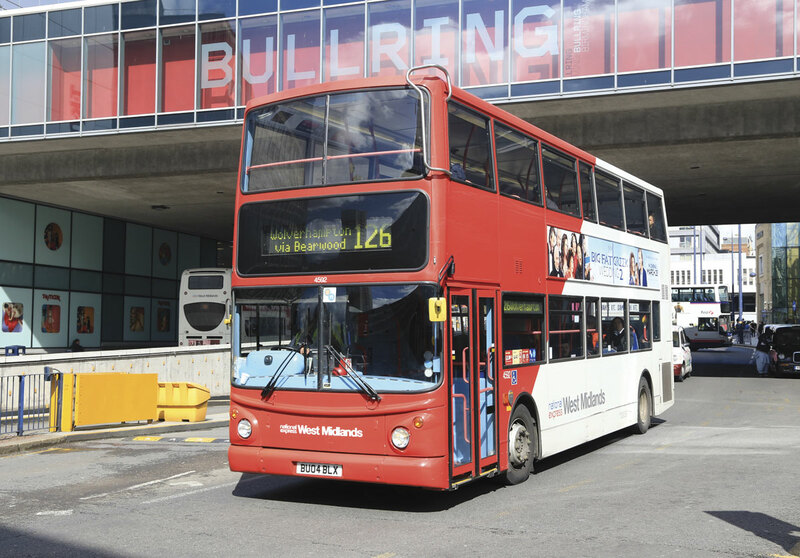 National Express West Midlands MD, Peter Coates, told Free radio listeners that the company had had to put 60 additional buses on the road to maintain the frequency on main routes.